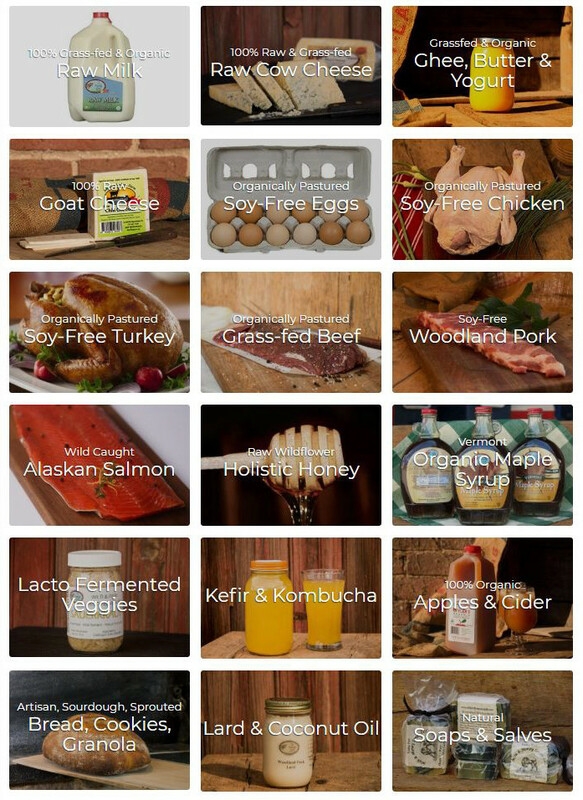 Pasture-raised foods delivered straight to your doorstep! Real Farmer Foods straight to my home?! What if there was a real organic family farm where you could shop online. No need to go to 5 different farms or drag your toddlers through the farmers market lugging your day's purchases. You could order all the hard to find organic stuff, like Soy-free Eggs from truly pastured hens, Chicken and Turkey also pastured and soy-free, Raw Milk straight from zero grain grass-fed Jersey cows, Woodland raised Pork, Homemade Water Kefir, Yogurt and Kombucha all straight from the farmers themselves, yet do it all from the comfort, safety and convenience of your home. Wouldn't that be awesome? And What If...Your Farm Had Everything? 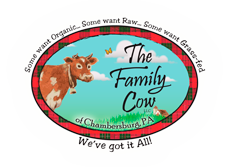 Not only all the specialties like Raw Milk from Grass-fed Jersey cows but also the more common foods like Unpasteurized Organic Cider, Raw Cheeses of all kinds, Raw Wild Honey, Artisan and Sprouted Grain Bread, Raw Amish-made Sauerkraut and Raw Kimchee, Grass-fed Beef, Home Canned Garden Produce, Homemade Ghee from organic grass-fed cows, Homemade Goat Milk Soap and well... just about everything! Wouldn't that be neat? What if it...Wasn't a CSA or a Subscription Either? In your dream farm food source there would be no prepayment. There'd be no minimum purchase. Not even an order obligation or a membership fee. But best of all, your order would be 100% customizable. You'd only get what you order. You would only buy the foods you need when you need them. Done deal. And Oh... If They'd Only Deliver the Food to Your Door! Your special order would be carefully packed in ice by the farmers and would be delivered right to your door... waiting for you when you come home from your busy day. Just imagine... You could buy direct from a farmer and still meet your hectic social and professional schedule. Wouldn't it be awesome if 2019 ethical food choices didn't have to be limited to an 1900's farmers market? Buying straight from a real live farmer will never be this easy. Right? Wrong... Buying 'Farmer Foods' is already this easy. This and even more is already a reality. Good Morning! Join the movement! ... We are pleased to have you with us. Welcome to Your Family Farmer! While we're getting acquainted, please take a moment to explore our foods. We know you will be delighted. All of our foods are soy-free, GMO-free, and ethically cared for with respect to animal as well as to the Creator. Some of our foods are certified organic and all are grown with organic principles. Afterwards (or before, if you are a visual person) please explore our photo gallery to see how all this goodness is grown. I'll give you a hint. It is quite simple. We follow the Master's plan. It is all about Him! 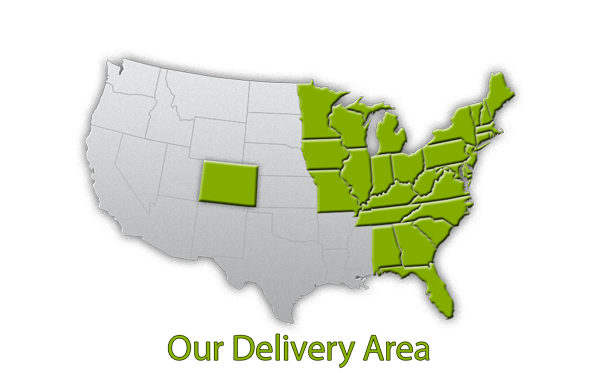 One Note: We are just starting with doorstep delivery, so right now our delivery area is limited to about 30 states. Those states include all of the east coast USA and most Mississippi river states. Our delivery map (above) shows the details. If you live further west in USA, please be patient. We hope to be able to deliver to your area as soon as we have enough experience closer home.